After a slew of character reveals, we finally have Jump Force story details. 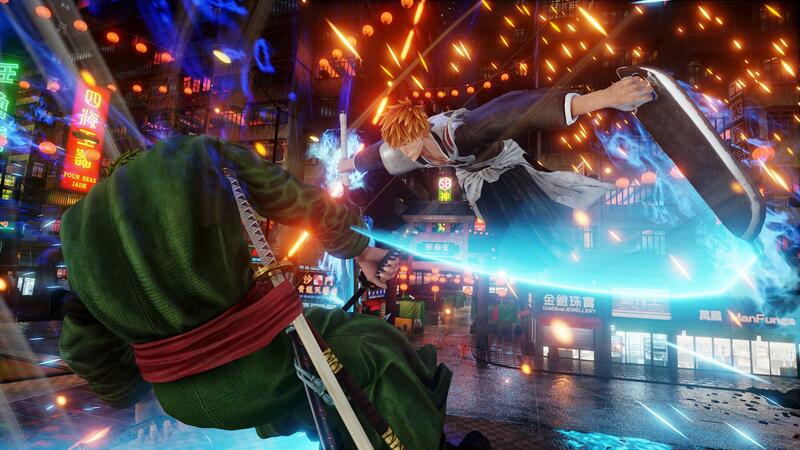 Take a look at how you’ll be fighting alongside your favorite heroes as a member of Jump Force in the story trailer above. Are you ready to fight to protect multiple worlds and prevent some sort of villain from using an evil book? Things start off in the Jump Force trailer at Umbras Base, with the narrator explaining there are other realities and the worlds outside of our realm, collectively known as Jump. But with various enemies appearing from these Jump Worlds the player’s reality is now in danger. It’s up to you to stand up against these foes as part of Jump Force. You can customize your avatar using the iconic clothes, hair, and accessories from the featured manga franchises. Likewise, you can have some of their move sets as well. Lastly, this trailer shows off the four of the new characters revealed this week including Asta from Black Clover, Boa Hancock from One Piece, Trunks from Dragon Ball, and Renji Abarai from Bleach. The game also just confirmed Deku from My Hero Academy. Get ready to unite to fight when Jump Force launches on February 15, 2019 for the PlayStation 4, Xbox One, and PC. You can enjoy three days of early access, a new lobby vehicle, and three exclusive costumes if you preorder the ultimate edition.